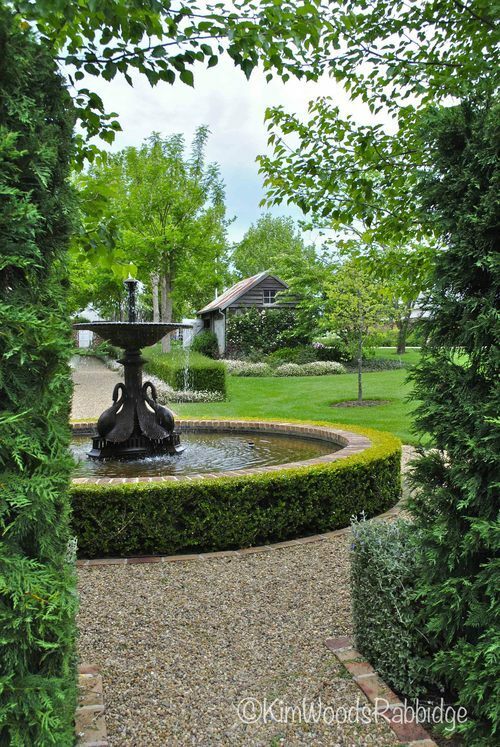 Most of the 3,500 gardens which landscape architect Michael Bligh has designed, or consulted on, are in Australia’s eastern states – in the country. 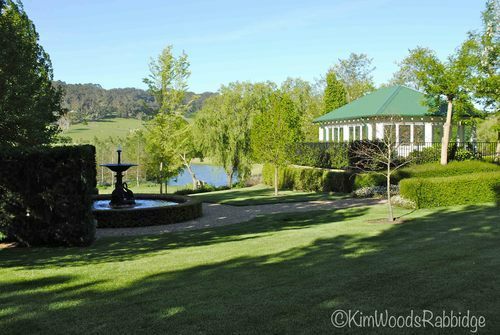 That’s not surprising considering his heritage, growing up immersed in the beauty of Pejar Park garden, on his family’s property near Crookwell in New South Wales. 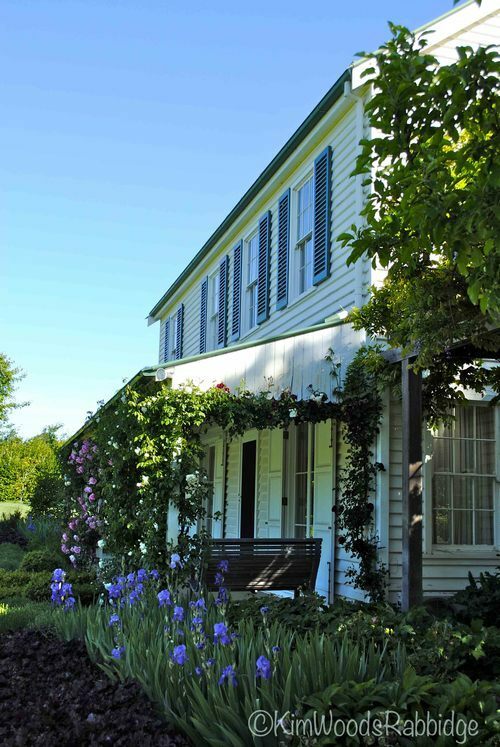 That garden was designed and nurtured by his late mother, renowned garden lecturer and historian Beatrice Bligh, whose books Down To Earth and Cherish The Earth are still sought after, over forty years since they were published. Michael and his twin brother Hugh were encouraged by their dad to pursue tertiary studies before contemplating a return to the land. Michael enrolled in a new course – Landscape Architecture at Canberra’s College of Advanced Education (now the University of Canberra). 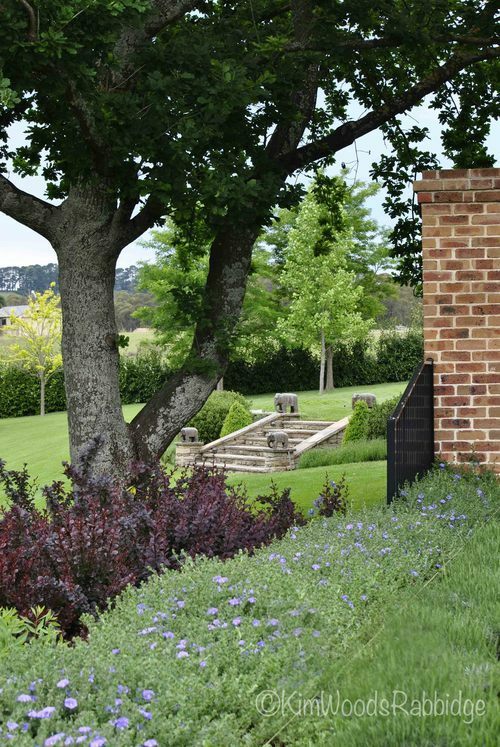 “I thought I was going to be an architect but suddenly in 1973 I realised I could do Landscape Architecture which seemed to be just right for me,” Michael says. 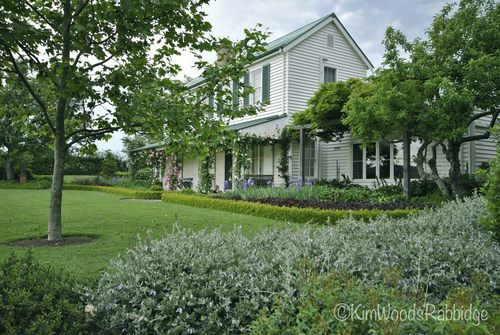 The course drew some fine lecturers such as Rex Fairbrother, Margaret Hendry – and Ken Taylor. Richard Clough was also a guest lecturer. 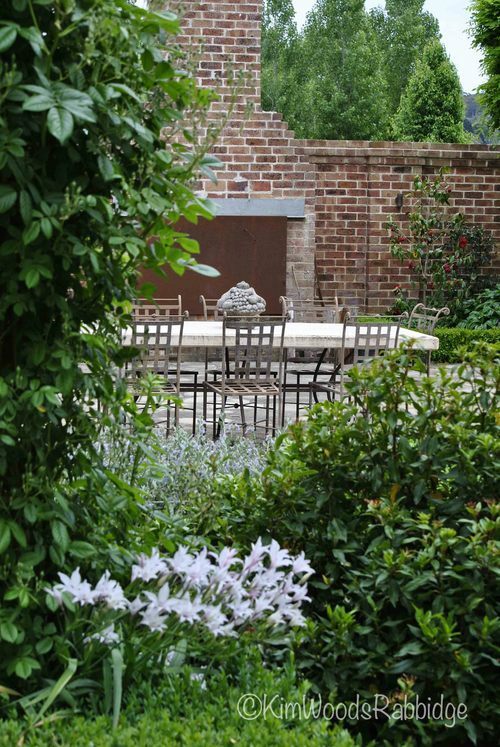 Whether designing a country garden in challenging Outback Australia or in more forgiving southern climes or in urban areas, Michael incorporates universal design principles. 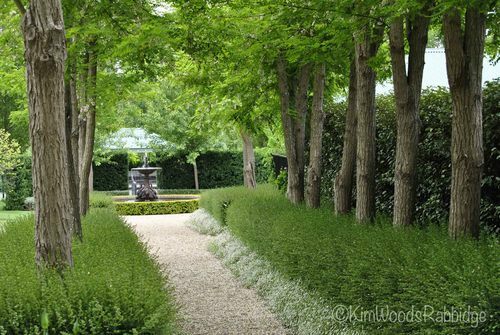 In many country gardens intimate spaces close to the residence may include more intense plantings, while further away parkland blends into paddocks or open spaces. 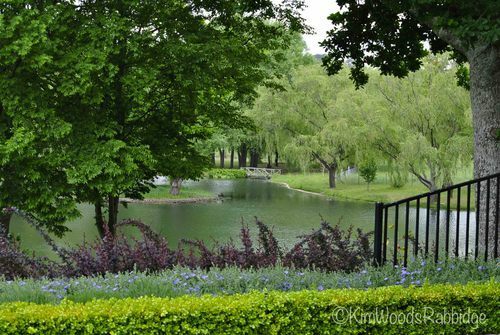 “To be a good designer horticultural knowledge is really important. 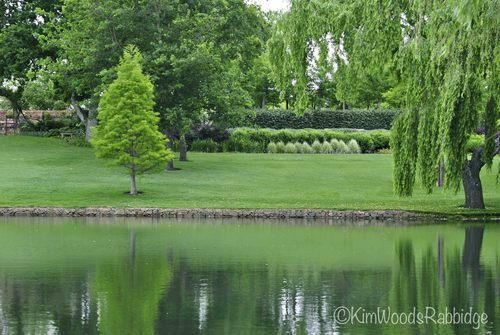 It means having the right choice of trees in the right places. 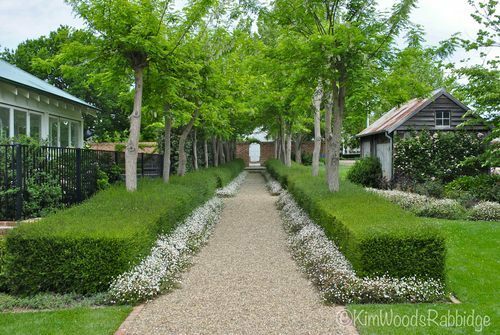 You might place some significant individual trees, then have a group of three or five medium trees, or add balanced drifts of small trees – such as seven or nine Malus floribunda,” he says. 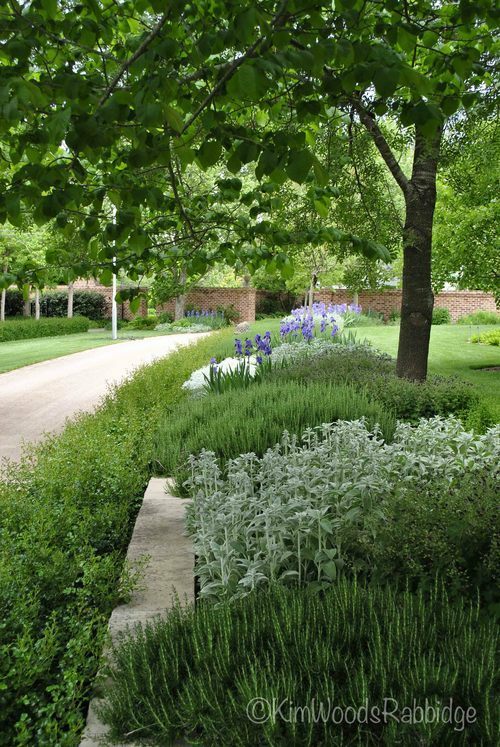 Gardeners who’ve been inspired by Michael’s talks throughout the country are quick to note some of his key themes: welcoming entrances; well-placed, designated parking bays; and the use of hahas to create level areas often taking advantage of garden or bucolic views. 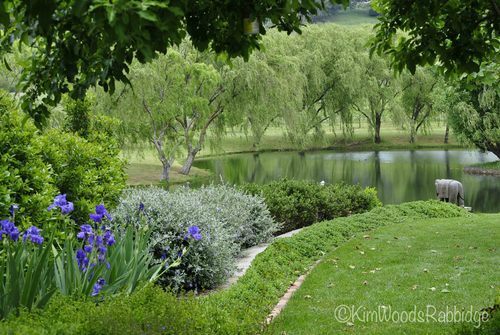 These images are of LEYLANDAGREEN, a serene, elegant garden in New South Wales Southern Highlands, belonging to Peter and Sally Wade and their sons. 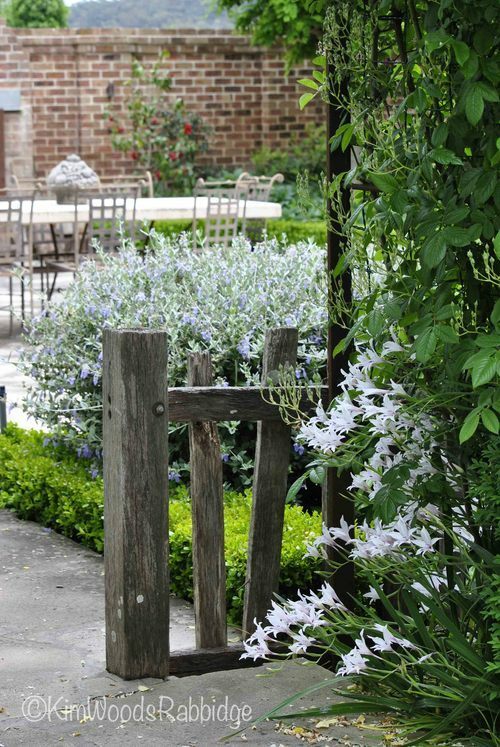 White miniature gladiolus peep out beneath the rose, and behind the remnant timber fence a Teucrium fruticans is displaying its pale lilac flowers. 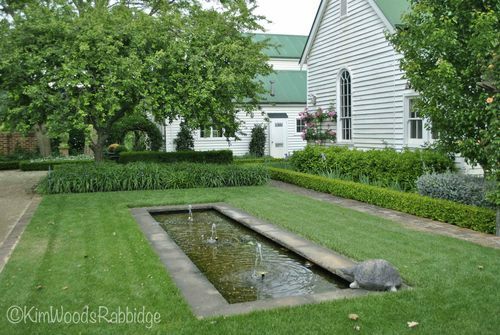 When the Wades approached Michael Bligh to further enhance an established garden, they may not have realised quite the extent to which it would grow. 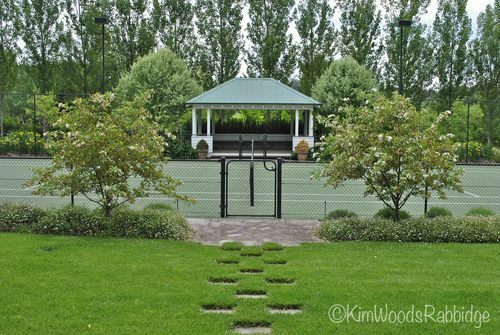 Michael noted Sally Wade’s wish to retain the existing ambience although substantial changes were needed: a pool and summerhouse, and a tennis court and pavilion are new additions. 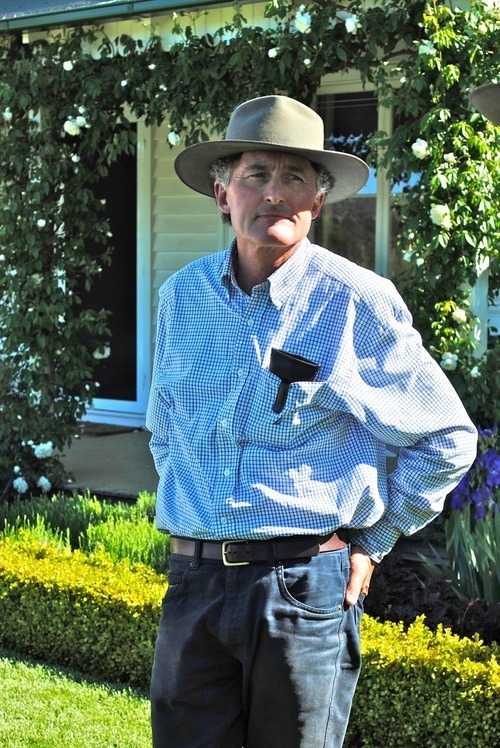 He could see the potential of utilising the entire four hectares. Every space has been considered, many are planted but the retained open spaces are equally important. 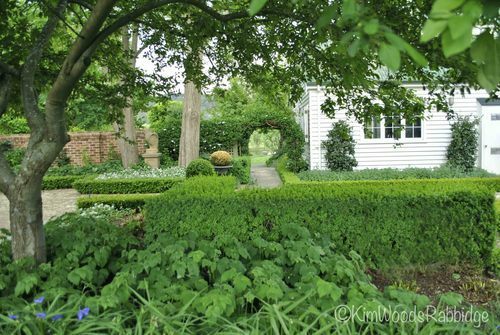 Sally Wade, an Englishwoman, loves the style of English gardens – they remind her of home, and luckily she was able to have her dreams fulfilled at Leylandagreen. In this region temperatures range from around below zero to C12〫in winter and C14〫to C25〫in summer, and elevation is 690m. Many cool climate European trees thrive here. 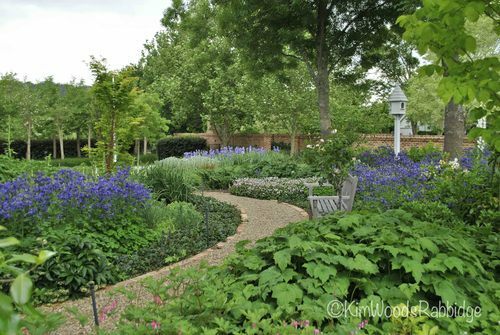 Meanwhile Peter Wade has discovered a real passion for his garden, totally embracing its evolution and the changing seasons, and appreciating the pleasure it brings family and friends. 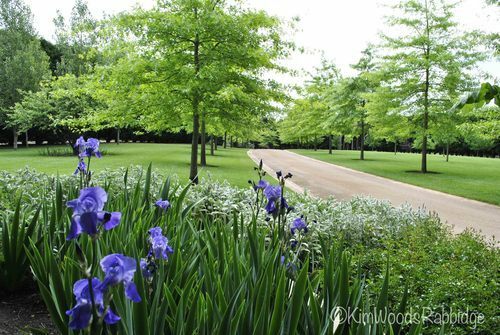 Space has been retained either side of the pinoak-lined driveway to allow for the maturing deciduous trees. 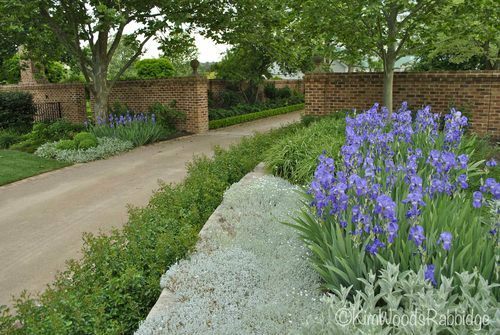 On approaching the walled garden and parking bay adjacent to the home, soft plantings are mainly themed in blues, silvers, whites and greens although a hedge of pink roses makes an appealing greeting in summer. 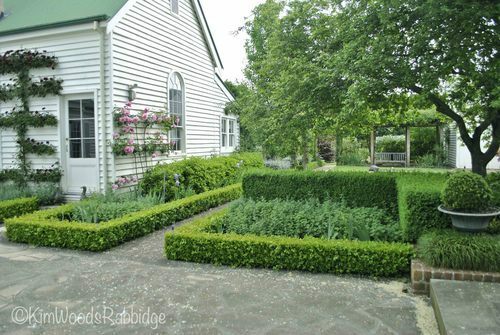 Clipped box hedges encase beds by the courtyard entrance and portico. 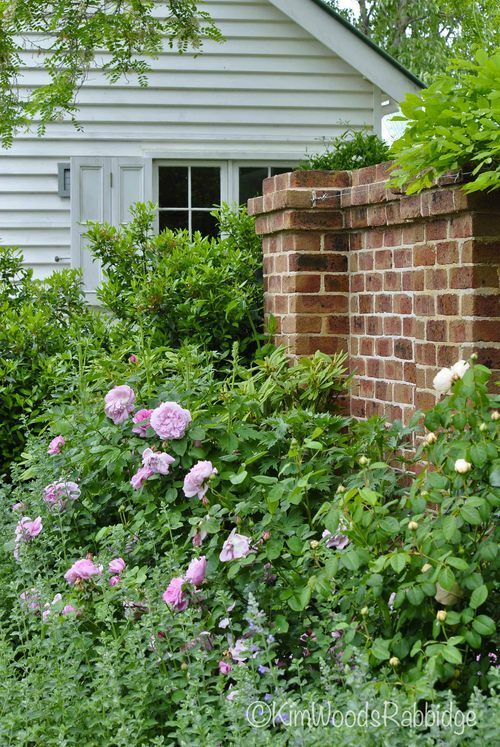 Espaliered roses have been trained decoratively against the walls. 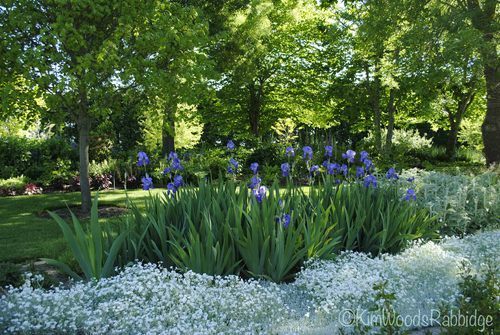 Lush spring growth includes strappy-leaved iris that contrast with deeply-lobed Japanese anemones whose flowers appear in autumn. 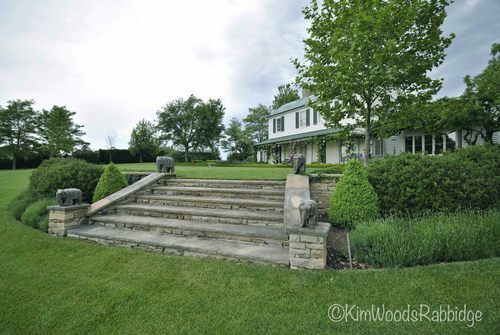 Above: restful lineal elements and a predominance of green surrounding the home. 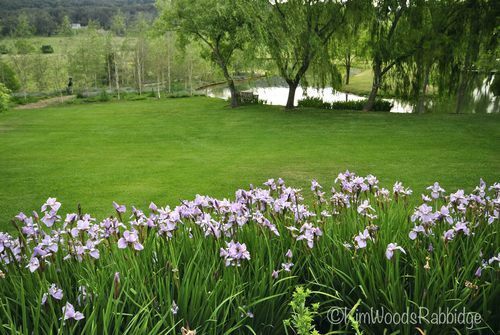 Small water spouts in a simple below-ground pond create meditative tinkles, and ripples. 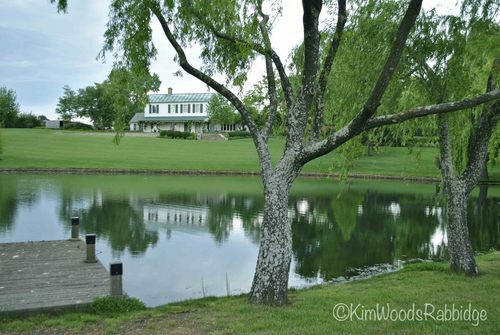 From the veranda and inside, climbing roses and wisteria frame long views to the lake and trees on the far banks. Clear lines of vision can be appreciated when not over planted. 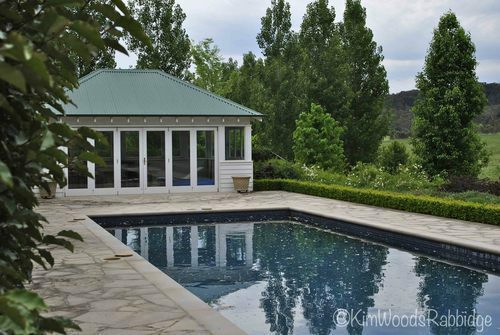 This beautifully paved courtyard is quite close to both the home and swimming pool. 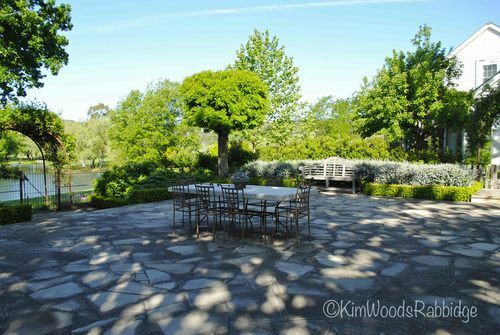 It includes an oven and BBQ, a table and chairs, and plenty of space for a gathering. 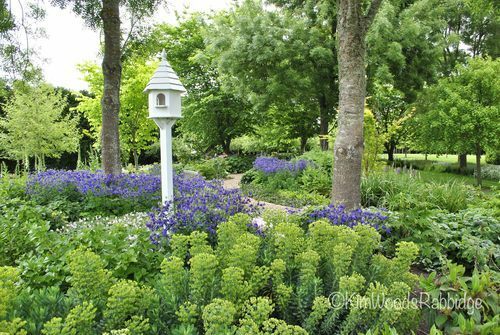 Low-growing box define the border and the silvery teucrium hedge complements the elegant, weathered garden seat. Some spots are intimate and sheltered, and others are open and spacious. The fireplace above is awaiting cladding. 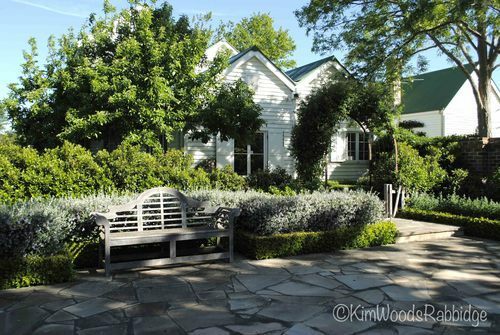 The charming, weatherboard two-story dwelling is well positioned overlooking the willow-edged lake and island. 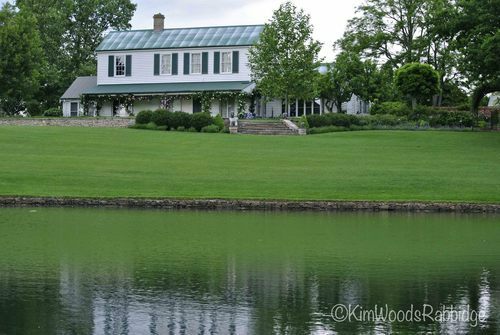 Vistas are enjoyed from colonial picture windows encased by shutters, and from the front verandah. 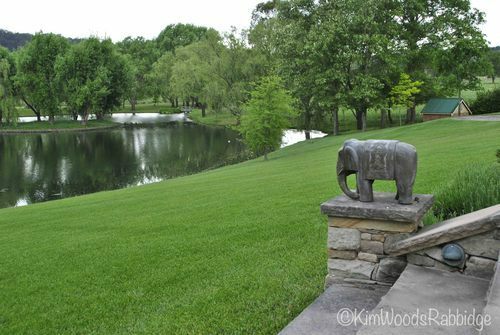 Elephants guard the generously wide steps providing access down the partial haha. Using four ‘sentries’ seems to create far more dramatic impact than a single pair – and they certainly ‘anchor” the steps. 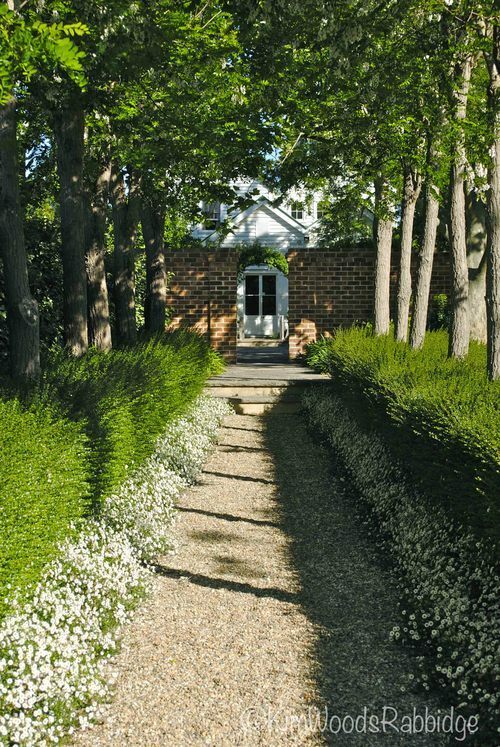 Both from, and towards the water, rows of grasses, and shrubs such as berberis, rosemary and box reinforce horizontal lines, and add structural mass and drama against the gently rolling sward. 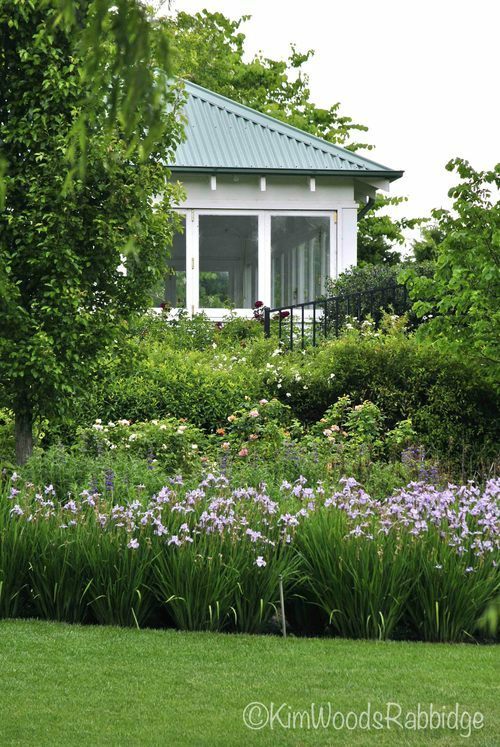 The summerhouse is embraced on three sides by plantings, and from its elevated position the view down to the lake includes the birch grove which is underplanted with bulbs. 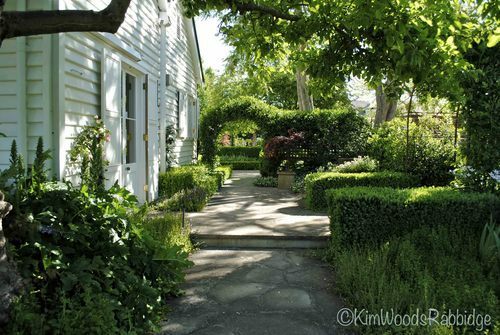 When it’s sunny (above), shadows interplay along the pathway flanked by mature robinias, and when it’s overcast (below), the colours are subdued but rich. 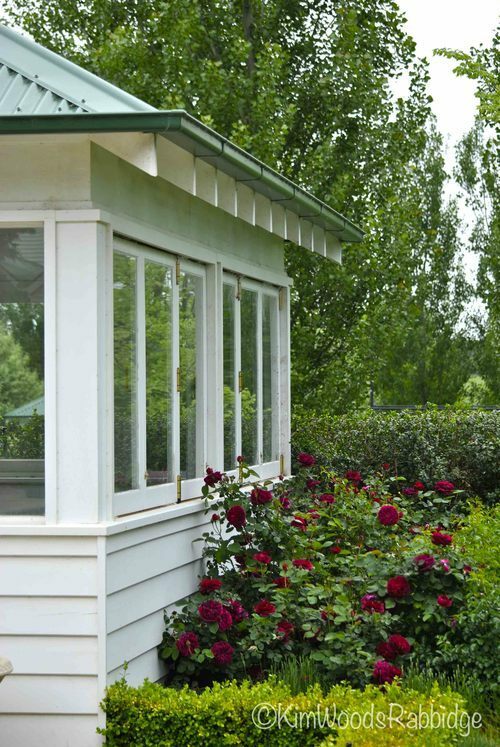 The pool house graces one side of the allee while on the other, the pump house constructed from recycled materials by a previous owner melds easily into the garden. 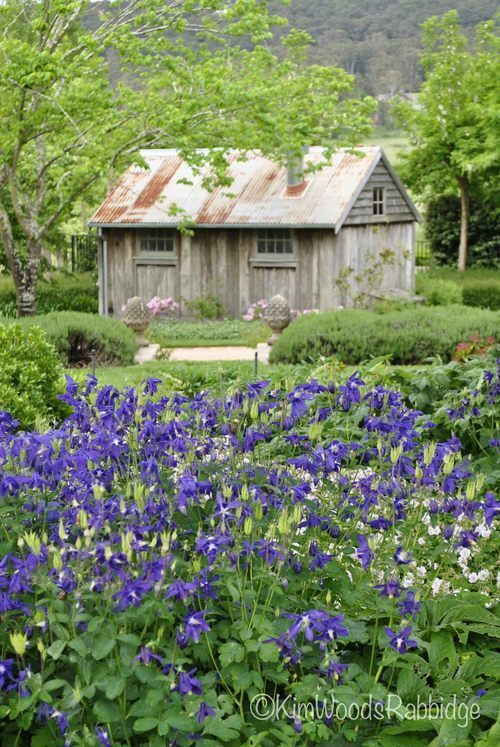 For something so utilitarian, this is one lovely shed! Precious open space at Leylandagreen enhances the sense of serenity. P.S. Michael Bligh loves our post on Dursley. “That’s my sort of garden,” he says. You can revisit Dursley by clicking the link. By the way – we’d love you to share our blog. Please forward it to friends who may enjoy it, and ask them to sign up as well! CONGRATULATIONS to our DVD review winners! “My mum Brenda and I have watched your DVD a few times now. It is so enjoyable and really keeps you interested. We will be leaving our much-loved garden ‘Retreat’ soon but we’re looking forward to building another – just a little on the smaller side. By watching this DVD we are getting inspired to start again, something I didn’t think we would get excited about. Thank you to all those who sent in your reviews. 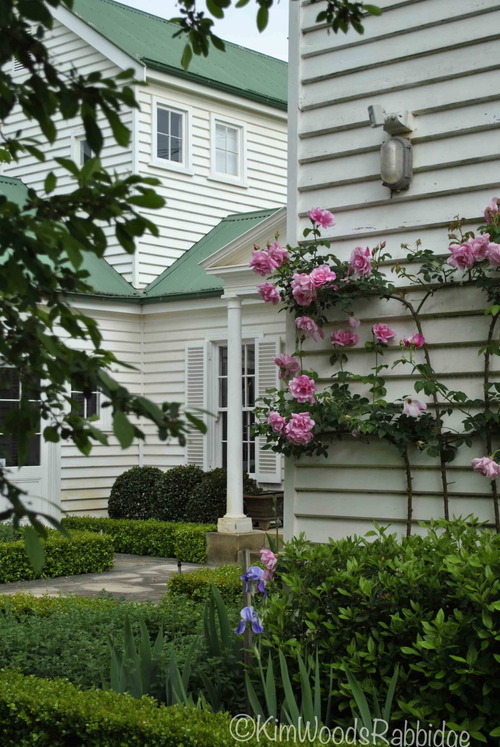 We’re looking forward to filming OUR AUSTRALIAN GARDENS again – next time in the Southern Highlands in autumn. 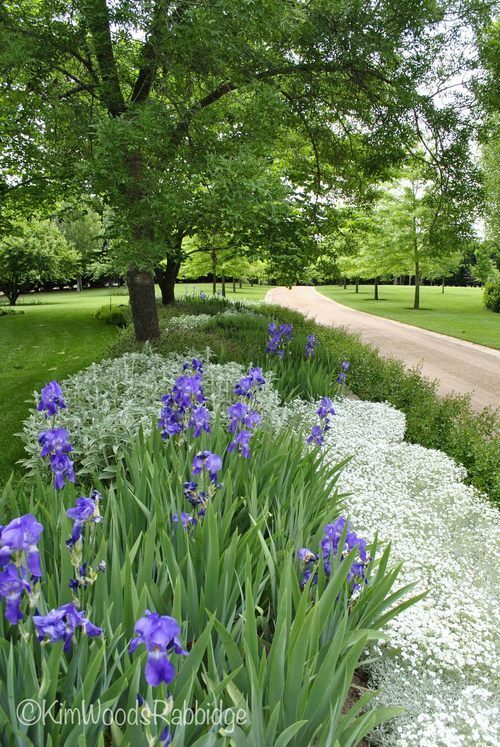 To order the DVD on Albion Farm Gardens visit our ONLINE STORE. LOVE LOVE LOVE the latest post!!! 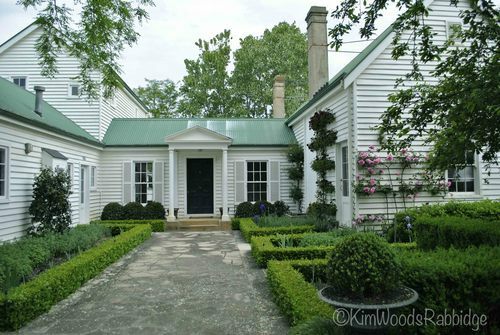 Love the summer house and pool house and the layering in the gardens. 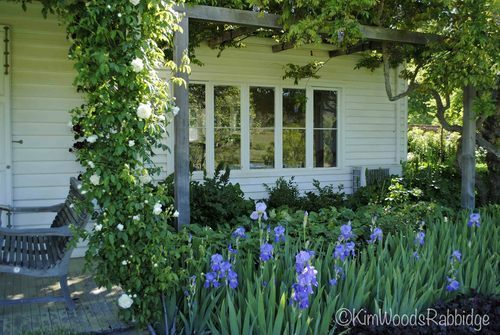 What is the lily like plant grown under the rose arbor in full bud with no flowers open yet. The plant I am asking about has sprays of white flowers and looks like a bulb. In the 5th photo. My poor garden has really struggled with 42 degree heat for a week and then 7 inches of rain. Well done on the article. Very inspiring. How wonderful!! It is truly beautiful..most likely my favourite so far. Another beautifully presented newsletter has just lobbed into the inbox. Thank you. You certainly visit some interesting places. Congratulations! 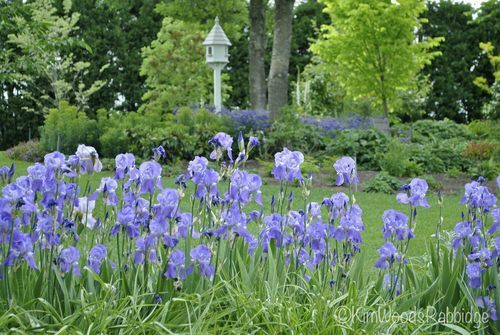 I am loving OAG and I hope you are enjoying it and the fabulous gardens you take us to as much as we are. The picures are divine and utterly inspirational. Best of luck as it unfolds! I’ve admired several Michael Bligh gardens but Leylandagreen must be among his finest. 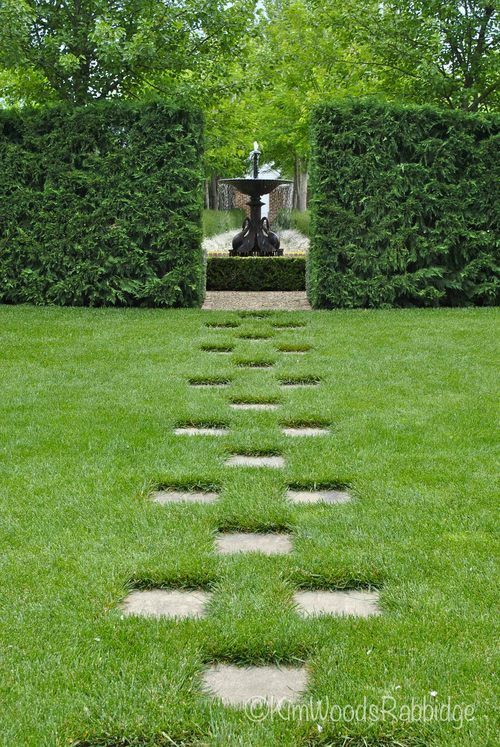 Loved the use of space and the way formality softened into the surrounding landscape. 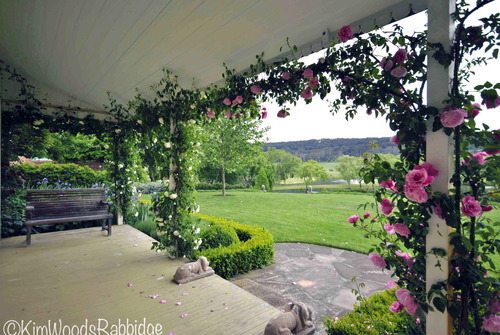 I’m sure this garden would look splendid from inside the house too.